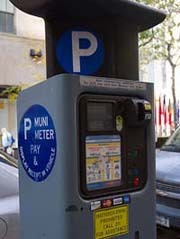 The New York Department of Transportation has started installing dozens of new muni- meters all around Queens, replacing the old single space meters along major roadways. So far, the munis have appeared in sections of South Ozone Park, Whitestone, Rego Park, Fresh Meadows, Kew Gardens, Glen Oaks, College Point and Far Rockaway. Installations in St. Albans, Rosedale, Hollis, Queens Village, Auburndale, Ozone Park and Howard Beach are expected for next week. For specific installation information, visit nyc.gov/html/dot/html/motorist/meterchanges.shtml.